Here at Day One, we’re able to offer white label elearning software and content development solutions – for your own teams, using your own branding, or for your clients if you’re a training company. White label LMS or bespoke courses – Can Do. Below is an example of how a top UK training provider engaged the expert developers here at Day One Technologies to deliver white label elearning software and courses as part of their wider programme of solutions. Unlike a certain cereal brand who claim never to make their delicious products for anyone else, here at Day One, we are a team for hire and are happy to work either with clients directly or through third parties as an elearning software specialist when required. Day One was recently approached by an online training provider keen to hire our A-Team to help them produce an extensive suite of elearning courses. The programme was for a client of theirs which needed to deliver technical training to non-English speaking groups with limited literacy skills. The programme needed to get lots of techie info across without being wordy and needed to break the topic down into bite-size, online lessons. Day One assembled a dangerously organised team of 17 software and elearning specialists and set about developing a bespoke solution for the client. The approach was to keep the elearning as simple and intuitive as possible to make the learning process easier for the trainees. Words were kept to a minimum, and the software relied on graphics, photos and short videos to get the training messages across. To reduce the barriers to learning for non-readers, an audio narration was added to the software to speak any words on the screen in the trainee’s native language. As well as developing the elearning software solution, Day One also created interactive glossaries, translated some of the text to the learners’ native language and handled any amendments – and all while keeping to our client’s client’s deadlines (did you follow that?). Our client was delighted that we could rise to the challenge of assembling the right team needed for the project, and help them to seamlessly deliver the brief. As Day One effectively worked as an extension of their team, any additional management overhead was minimal for the client – they could just give the requirements to us (put their feet up and have a brew? ), safe in the knowledge that it was all taken care of. We love it when a plan comes together. Fantastic to work with, patient and professional. Offered creative solutions such as Simulation for teaching engineers how to install software products. Day One has been a huge contributor to our outreach projects which take internet availability to every part of the globe. Whatever your training requirements, the Day One can deliver on them with a bespoke, white label LMS or content solution that is tailored to the branding and ethos of your company or that of your end users. We’ve been the outsourced elearning content and software development team for a number of companies, creating technical training, health and safety courses and system simulations to name just a few solutions. Want to learn more about outsourcing your elearning requirements to Day One? Contact us for an informal discussion about your white label training needs. 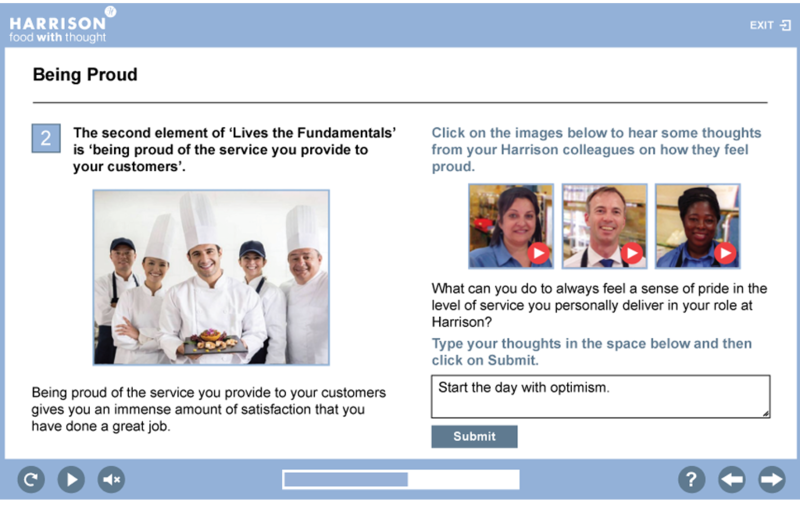 See how we develop elearning content tailored to the needs of each client.